First, snip off a large piece of (unscented!) floss, and twist it around your two pointer fingers. Then, start on one side of the watermelon and cut along the rind, using your hands to hold it in... Preparing Watermelon Rind for Pickling. Trim the dark skin and pink flesh from a thick watermelon rind. (It's easier if you first cut your rind into long strips, then peel it. Slice the watermelon into triangles, leaving the rind on. Hint: depending on how big the watermelon is, you might want to cut some of the larger triangles one more time length-wise to have more of an isosceles shape. Make two slits in the rind to make a trunk. 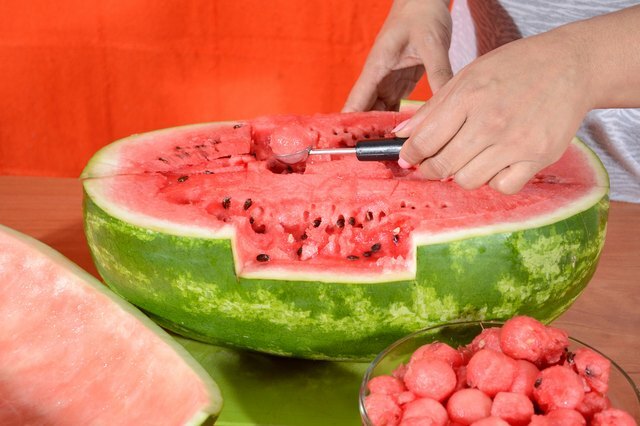 Then cut off the rind on either side of... Wow, I am shocked at the amount of people who did not know this method of cutting all melons, not just watermelon. Beautiful pictures. If you really want that wow factor, after you cut the rind off, use a wavy cutter (you can buy one at any kitchen supply store) to cut your chunks. 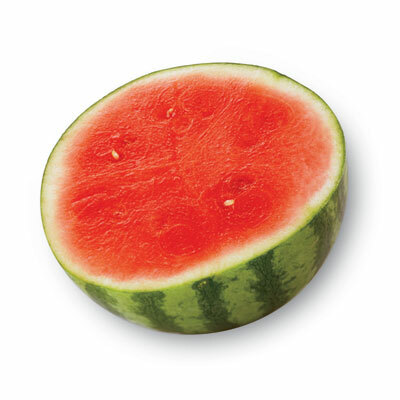 And again I�ll come back cut off of little bit of the watermelon for a taste test. There is some trimming that is needed but for the most part it does a good job. I got a little bit of white from the watermelon rind there so I will cut that off. Place the cut-off rind into the large bowl. Continue cutting the melon starting at the top and cutting down to remove the rind, turning the cutting board (or melon) as you go. You may miss some rind on the bottom, but no worries. Preparing Watermelon Rind for Pickling. Trim the dark skin and pink flesh from a thick watermelon rind. (It's easier if you first cut your rind into long strips, then peel it.